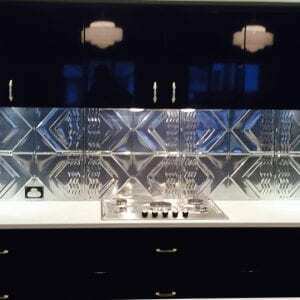 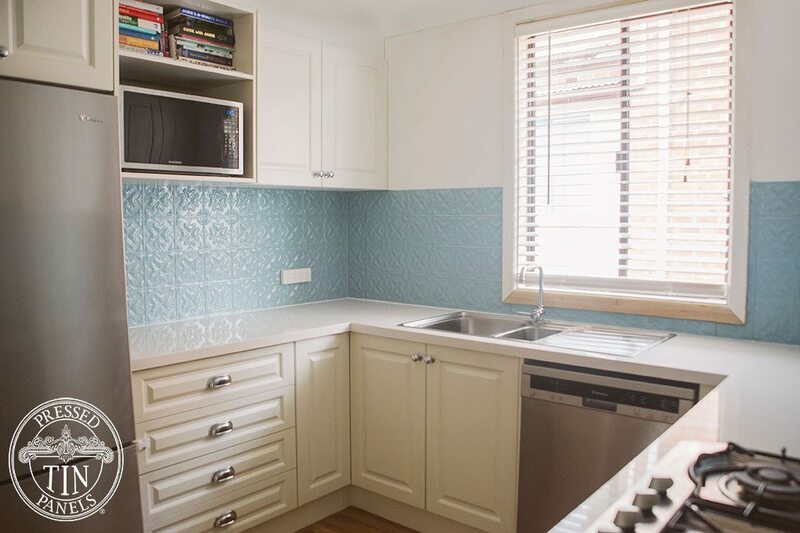 The Spades pattern features as this fresh new kitchen splashback. It was powder coated in Dulux Misty Blue colour. 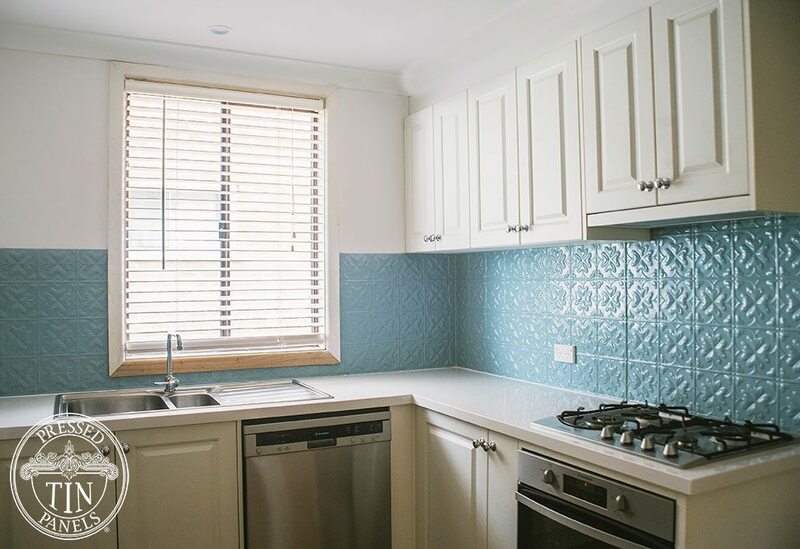 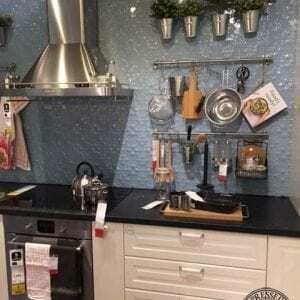 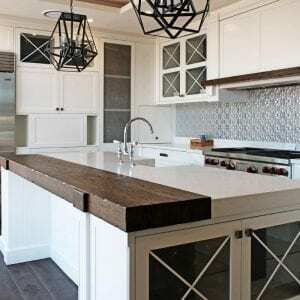 Another renovated kitchen looks amazing!